Gustavo Adolfo Bécquer, the Spanish poet that lives on in my paranormal novel Immortal Love, was born in Sevilla, Spain in 1836. Although the Sevilla he knew is most certainly gone, some of the monuments and houses he saw growing up still remain. That would be the case of these Roman statues that dominate the neighborhood where his godmother lived. According to one of his friends, the young Gustavo spent many lazy afternoons reading in his godmother’s library. 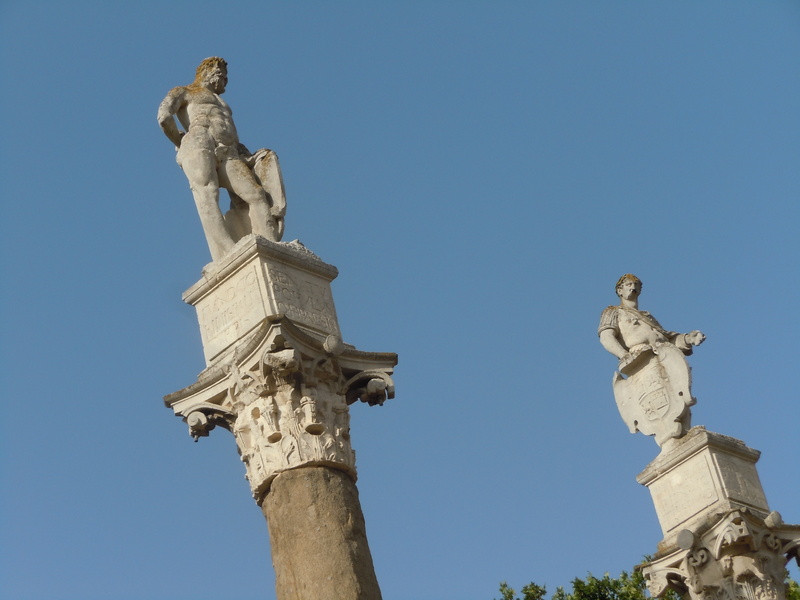 Outside, as they do now, the two ancient emperors kept watch over the city.